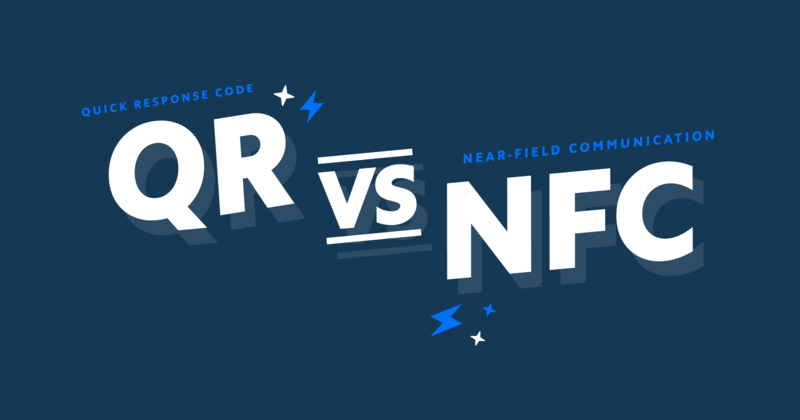 With obscure acronyms and overlapping functionality, RFID and NFC are easy to confuse. 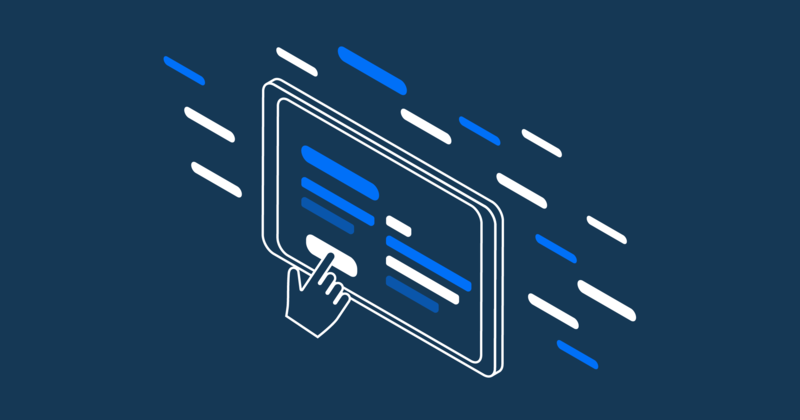 Here we dive into the similarities and differences between the two, and highlight specific use-cases where each technology excels. Hierarchically, NFC is a subset of RFID. 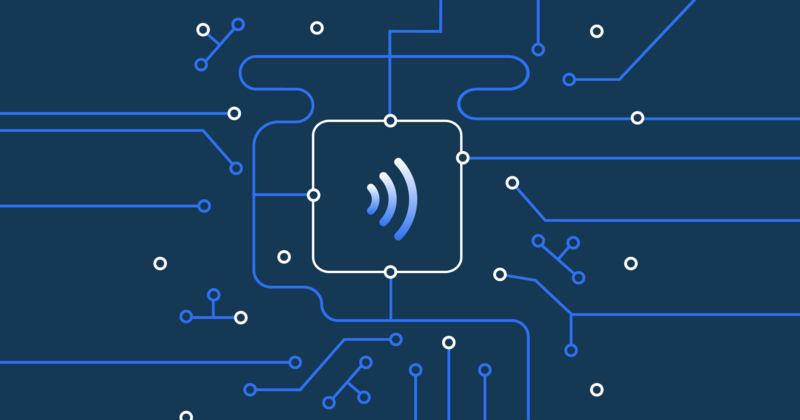 Like other wireless standards such as Bluetooth and WiFi, RFID uses radio waves to transmit information. RFID stands for Radio Frequency Identification and acts as an umbrella term for all types of contactless communication. Technically, RFID operates at 3 distinct frequency range (see infographic). These frequency ranges allow generic RFID devices to be tailored to different use-cases, with each frequency having its own advantages. NFC, as a subset of RFID, operates within the High Frequency (HF) range of the RFID spectrum. Introduced in the 1980s, RFID was designed to improve upon the use of printed barcodes used for tracking inventory through the supply chain. Unlike a barcode that requires line-of-sight to read, RFID works as a one-way wireless transmission between an RFID tag and reader. Both tag and reader need to be within range of one another for data to be transferred. Read-range varies but distances of 1m to 100m can be achieved. RFID tags themselves are small and flexible devices that usually take the form of a sticker and typically cost less than 10 cents per tag. RFID readers provide the power needed to wirelessly read RFID tags. Readers can be battery powered handheld devices or large units that are installed in warehouses like a WiFi router would be. RFID excels at inventory tracking due to its high read range, accuracy, and low tag cost, but lacks the ability to store anything more than a simple ID. 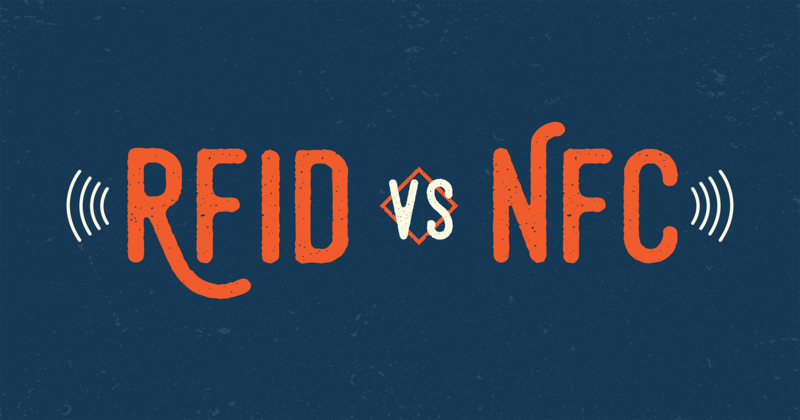 This is one of the biggest differences between RFID and NFC. Other use-cases for RFID include: automated toll systems, contactless lift tickets at ski resorts, and even race timing. Nearly 20 years after the introduction of RFID, NXP, Sony, and Nokia introduced Near-field Communication (NFC) to add contactless data transfer to low power mobile devices. Today NFC is standard hardware on all major smartphones making the technology easily accessible, and ripe for growth. While RFID excels at tracking inventory before the sale, NFC is aimed at becoming part of a product’s utility after the sale. NFC tags are small, inexpensive and embeddable into products at the item-level for use by consumers. NFC-enabled items are able to bring dynamic web-based experiences to physical products. 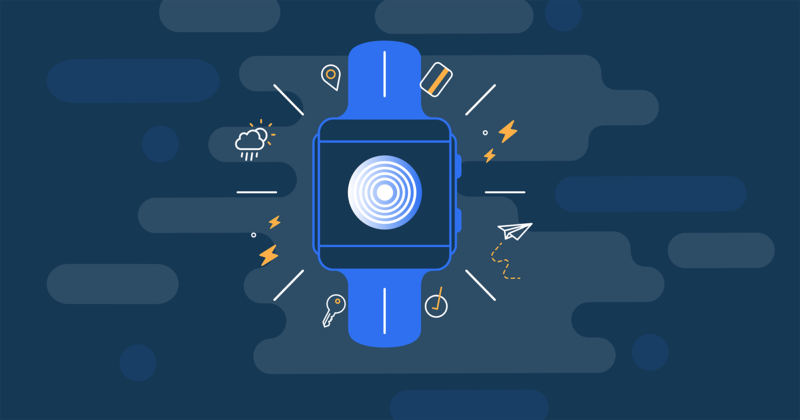 As a result, NFC is the number-one technology driving the adoption of the internet of things. This functionality is made possible through a number of important technical innovations NFC achieves over RFID. First, NFC supports more than just IDs. Tags can relay web content in the form of URLs and App-links, effectively bridging the gap between the online and offline words. NFC can power everything from in-store check-ins to immersive post-sale product experiences that become a core value of the product itself. 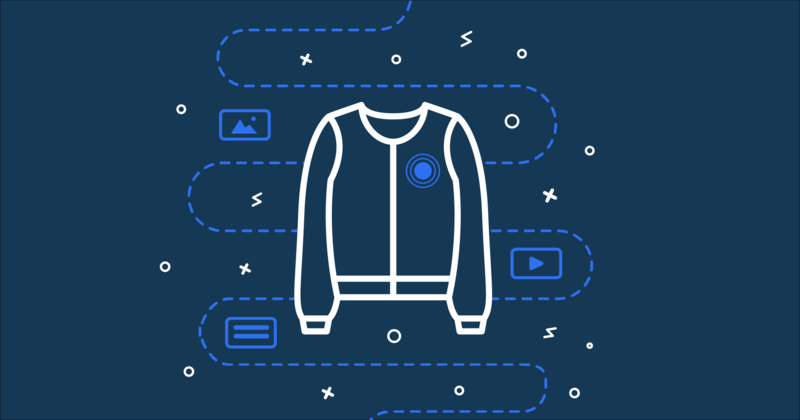 Brands can leverage the technology to empower customers by providing robust product authentication, even serving exclusive content only to those who own a specific item. Additionally NFC has card emulation and peer-to-peer data modes for additional functionality over RFID. NFC card emulation is most well known for tap-to-pay services. Apple Pay, Android Pay, and Samsung Pay are all powered by NFC card emulation. These services claim to fame is both their ease of use and inherent security. While most credit card transactions use the same card number for each purchase tap-to-pay services generate a single-use transaction number for every purchase. Peer-to-peer mode allows two-way data transmission between active devices. It is most well known as Android Beam and Samsung S Beam technology. 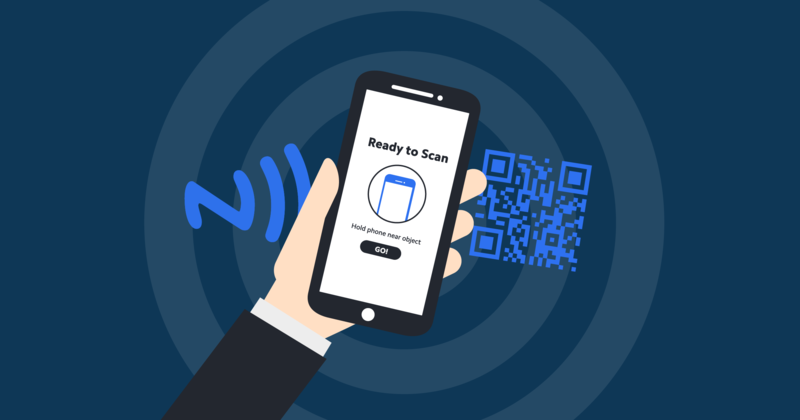 Due to the close proximity required for data transfer and its slow speeds, peer-to-peer NFC data transfer has seen slow adoption, especially since alternative methods such as BLE and WiFi possess significant advantages. 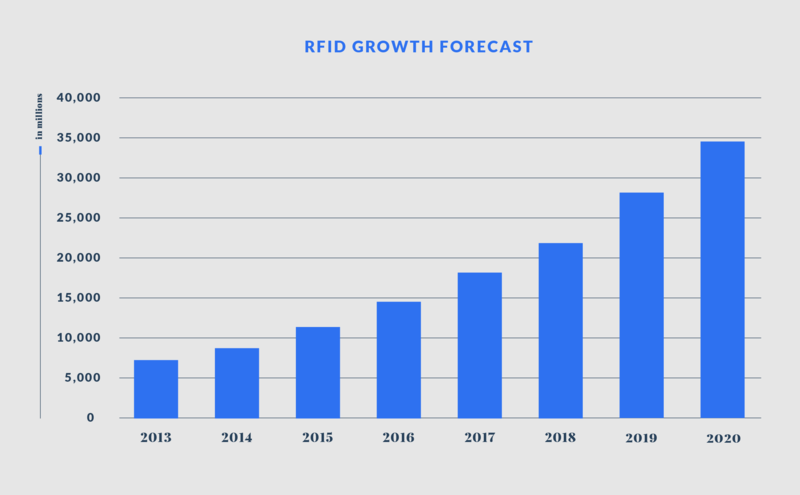 As we look to the future, RFID will continue to drive innovation throughout the supply chain. With the most modern RFID tags and readers able to tell not only if a product is in stock but what shelf it is on. NFC adoption will continue to grow as experiences become more sophisticated and customers demand interactivity. The number of handsets shipped with NFC capabilities is set to grow to 2.2 billion by 2020 and the number of NFC enabled items is expected to hit 5 billion over the same period. There is even work being done on multi-band tags that can operate at both the RFID and NFC spectrum allowing 1 tag to do it all.